Feng Shui 2 Wins ENie Awards! Three ENnies forFeng Shui 2! To our absolute delight, Feng Shui 2won three ENnie Awards at Gen Con 2016. Nominated in five categories, the new edition of Robin Laws’ seminal action movie RPG captured two gold awards and one silver award. Who says reboots aren’t as good as the original? Congratulations to Robin and the whole Feng Shui 2 team for this well-deserved recognition. 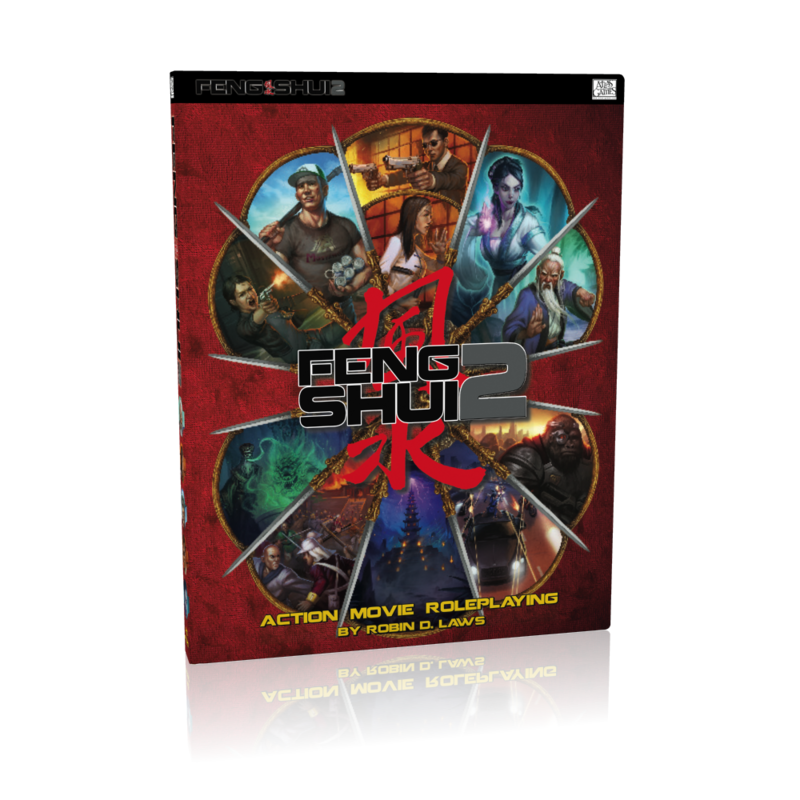 Visit the Feng Shui 2 line page on the Atlas Games website. Try Feng Shui 2 for free with the “Red Packet Rumble” demo scenario. Download Sylvan Master, the iOS combat manager for Feng Shui 2. Check out Hong Kong Task Force Double Eight, our Free RPG Day scenario, available as a PDF download. Watch videos where Robin Laws exposes theFeng Shui 2 factions and junctures.